Whether you have a college student living off-campus this fall or you're a recent grad settling into a first apartment, you'll want good appliances. Consumer Reports reveals some must-haves for your new pad. Emerald Smith just moved into her first apartment off-campus, and she's coming to terms with everything she needs to buy for her new place. “You never really know how much stuff it actually is until you get here," Smith said. Consumer Reports tests all sorts of small appliances and can help with some hand-picked recommendations. The first “essential” is a decent coffee maker. Pods are convenient, but they have drawbacks. "Pods can be pricey,” said Dan DiClerico from Consumer Reports. “And in our tests of popular pod brands, none were as good as some ground coffees from specialty roasters you can use in, say, a drip coffee maker." Consumer Reports recommends a Kalorik coffee maker for $60. It's very easy to use and brews a good cup of coffee. A toaster oven is perfect for cooking frozen pizza and other quick meals. The compact Panasonic FlashXpress is also a great stand-in for a regular toaster. 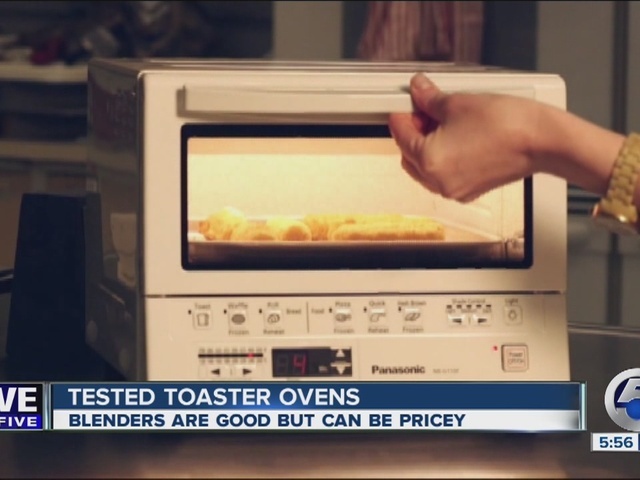 And for $110, it costs half as much as other recommended toaster ovens. And no kitchen is complete without a blender. With a good one you can chop, purée and make a smoothie. “You might have to shell out more than you'd expect for a really great blender,” said DiClerico. “Our top-rated models can cost a few hundred dollars." A less expensive option is the $90 Nutri Ninja Pro personal blender. Its mixing container doubles as a travel mug, so you can whip up a smoothie and take it to class. To keep your place tidy, a stick vac comes in handy. The top-rated Dyson is a powerful cordless vacuum, but it's $300. For about half the price, the corded Shark Rocket gets the job done, too. It's excellent on carpets and very good on bare floors.